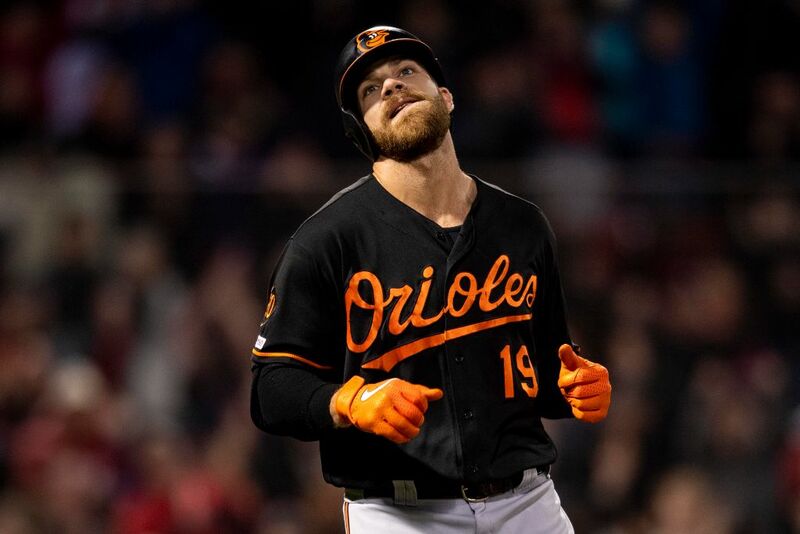 Baltimore Orioles first baseman Chris Davis is one of the highest paid players in baseball this season, making more than $21 million, but he’s also one of the worst. It wasn’t that long ago that Davis was a feared slugger — he hit .286 with 53 home runs in 2013, and he hit 26 home runs as recently as 2017, but those days seem like a long time ago for Orioles fans. Davis recently set a record for futility that he doesn’t want to have. Davis ended last season going hitless in his final 21 at-bats, which brought him almost halfway to the record for a hitless streak among position players. Eugenio Velez set the record by going 0-for-46 in 2010-11. That meant Davis would have to go without a hit in his first 25 at-bats of 2019 to tie that mark of futility, and he needed 26 or more hitless at-bats to set a new mark, so it seemed unlikely. Fast forward to March 28, 2019, when the Orioles opened their 2019 season against the Yankees in the Bronx. Davis went 0-for-3, striking out all three times he went to the plate. He continued to rack up the O-fers early in the season, going hitless in two, three, and four at-bats. He picked up a few walks here and there, with a couple of RBIs. 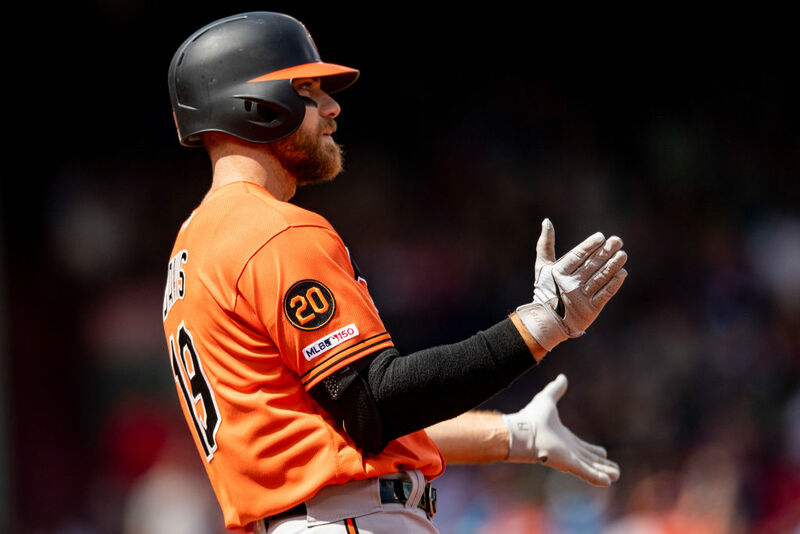 Davis went 0-for-5 at home against the A’s on April 8, and his streak continued through April 12, when the Orioles started a series against the Red Sox at Fenway Park. Davis got the start for the second game of the Red Sox series on April 13. He got his first at-bat of the game with two out and the bases loaded in the top of the first inning. After taking the first pitch for a ball, Davis smacked a line drive to right field to end his long hitless streak and drive in two runs on the play. That wasn’t Davis’ only hit of the ballgame. He also had an RBI double in the fifth and another double in the eighth. Overall, he went 3-for-5 in the game with four RBIs. The three-hit breakout brought his season average up from .000 to .079. His hitless streak officially ended at 54 at-bats — eight more than the prior record — but lasted for a total of 62 plate appearances. Davis’ hitless streak made headlines early this season because of the notoriety of such a feat, but he set another dubious record last season that he probably doesn’t want to be associated with. His .168 average in 522 plate appearances in 2018 is the lowest batting average for any qualified hitter (min. 502 plate appearances) since Major League Baseball adopted the 162-game season in the early 1960s. For better or worse, the Orioles have Davis under contract for several more years after signing him to a seven-year, $161 million contract before the 2016 season, when he was coming off of a 47-homer season in 2015. He is under contract through his age-36 season in 2022 before becoming a free agent that offseason. Of course, if he continues with his poor hitting, there is a possibility that the Orioles release him before that and eat the remaining money on his contract. If and when that happens, he would become a free agent and be free to sign with any team that would be willing to sign him, which seems unlikely given his recent futility.